Dramatic increases in wildfire over the last few decades have garnered considerable media attention. Numerous headlines have claimed that the amount of wildfire in the western U.S. is unprecedented. However, in a recent issue of Earth's Future, published by the American Geophysical Union, Brendan Murphy, Larissa Yocom, and Patrick Belmont at the S.J. 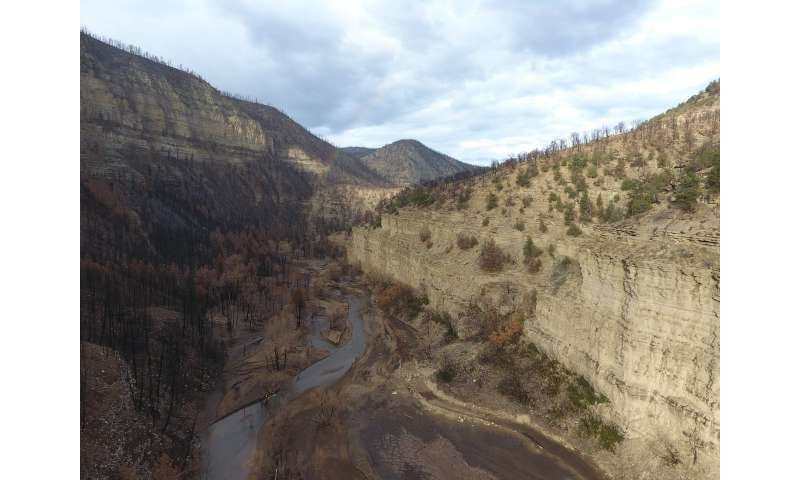 and Jessie E. Quinney College of Natural Resources at Utah State University compiled long-term fire datasets that demonstrate the amount of wildfire occurring in the western U.S. remains far below the acreage burning prior to pre-European settlement. Specifically, these records show that historically 4 to 12 percent of the entire western U.S. would burn each year. Why does that matter? The authors argue that we need to view wildfire as an inevitable part of the future in the western U.S. Drying of western forests due to climate change coupled with the buildup of excess vegetation after decades of fire suppression have led to exceedingly low amounts of fire. This perspective will shift our assessment of fire liabilities and prevention and mitigation plans. While the authors acknowledge the well-documented risk that wildfires pose to homes and structures, particularly those built in the wildland-urban interface, they highlight the less appreciated and underestimated risk that uncontrollable, high severity wildfires pose for water security. Further, they suggest that focusing on the amount of area burned is not enough to understand these complex issues. "The annual amount of area burning can be informative for demonstrating that wildfires are on the rise with climate change, but alone, this metric is insufficient. If we hope to better predict the future risks wildfires pose to water resources and more effectively manage our ecosystems, then it is critical we give other wildfire attributes, specifically burn severity, more consideration." said Brendan Murphy, lead author and postdoctoral fellow in Watershed Science at USU. Low severity wildfire benefits forest health and poses less risk to water infrastructure, so the authors argue we need to have more areas burning to reduce the frequency of catastrophic wildfires. This approach will require reducing restrictions on prescribed burns and 'managed' wildfires. Other forests naturally burn at high severity, and the authors argue that the best approach in these areas is to limit or eliminate development. The authors believe we need to adopt more widespread and effective management strategies for our forest and water resources. The critical first step will be realigning public perspectives about the past and future of wildfire.